The town sprang up around the noble abbey founded at the dawn of Christian evangelisation in this country, and, a rare thing in Europe, consisting of a double community, ruled by women. The exceptional architectural record includes the romanesque church of the 11th century, an archaeological basement, crypt, cloister, westwork and treasures from the 7th to the 18th centuries. 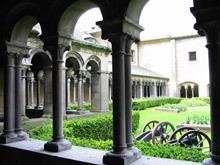 Under the Carolingians, it became an imperial abbey, and later, part of the pilgrim route to Compostella. 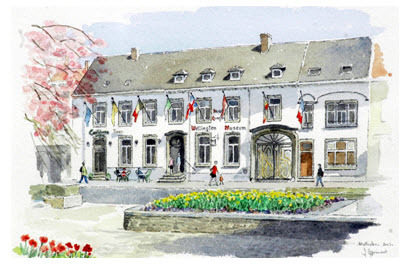 The St Jacques district, at the feet of the church, is a witness to this pilgrimage. From 646 and the first Merovingian church, to the present, 1350 years of architectural history can be traced. The church is built in the Ottonian style of the great monuments of the Holy Roman Empire : Early Romanesque for the 11th century construction, and Late Romanesque for the exceptional westwork of the late 12th, which is complete and very rare. The ground-plan with a choir at each end is in the Carolingian tradition. 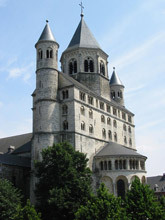 The westwork features no less than 8 cupolas : this is unique in Belgium and emphasises the imperial nature of the foundation. 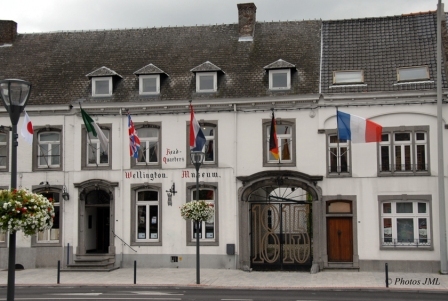 This museum is situated in the former stagecoach station where the Duke of Wellington stayed on the nights of 17 and 18 June 1815. You can still visit the Duke’s bedroom, the office where he wrote his victory report, and his aide-de-camp’s bedroom. 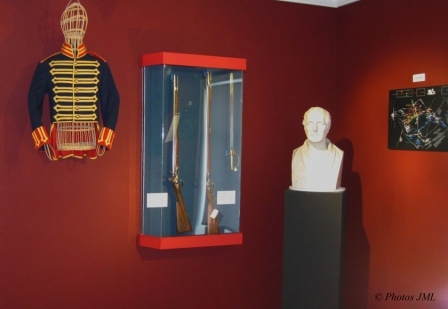 Various other rooms have been dedicated, each to an army, including authentic documents, etchings, weapons and souvenirs of the various nations that took part in the combat. There is also an impressive collection of rare weapons, such as “la Suffisante”, a gun manufactured in Douai, France in 1813 and abandoned on the battlefield. Each round weight 6 lbs. Your individual ticket for entry into the museum entitles you to an audio guide available in various languages. Duration of the visit : 40 minutes.